Aw! My school doesn't really do a whole lot for Veteran's Day but you are the 2nd to post that your school does. That makes me kinda sad but not too sad because I can still do something in my classroom. 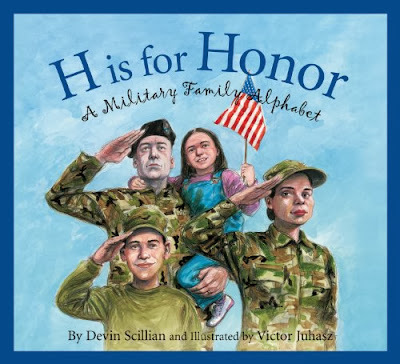 I have heard of H is for Honor but not the other two books! I will definitely check them out! And I LOVE the 3 words you do for the video! That's always so powerful! Amazing!! I love that your whole school does so much for Veteran's Day - I love the breakfast idea. These alphabet books are a great way to build student's knowledge. Thanks for sharing all of your great ideas for such an important day. I love this book. Such a great way to teach kids about many topics. I wish our school did more for Veteran's Day. I love that your school does so much. Thanks for sharing so many great ideas. I have been struggling to come up with Veteran's Day activities....this post was just what I needed! I already put these book on hold at my library! Thanks for the suggestions!